Solving your real estate needs anywhere in the world! Did you know the Witt Fogleman Team can help you buy, sell, or invest in real estate anywhere around the world! Did you know each state and area have very different rules and practices when it comes to real estate. Each state has their own real estate laws and each area does things very differently. For example, in some states all parties sit at the closing table, in other states they never see each other. Some areas agents call the homeowners to scheduled showings of the house, in other areas the buyers agent calls the listing agent to show properties. You need a local experienced agent who knows the rules and customs. Someone who knows the market, the values of the property, the neighborhoods, and who is best suited to help you find the property of your dreams. The Witt Fogleman Team has a network of agents around the globe. We have an extensive network of agents who have a proven record for quality service. We make sure each agent has been in the business and in the area for a reasonable amount of time. We also make sure the agent has a proven tract record of success in helping people just like you. For new Homes or homes new to you! 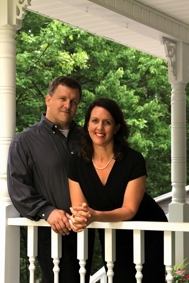 Scott Fogleman is a Realtor serving Richmond VA, Lynchburg, VA, Roanoke,VA, and Smith Mountain Lake, VA. He is licensed in the state of Virginia.